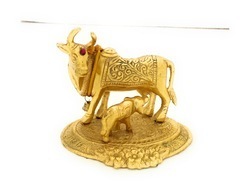 Pioneers in the industry, we offer gold plated durga ji statue, gold plated small cow statue and gold plated cow statue from India. 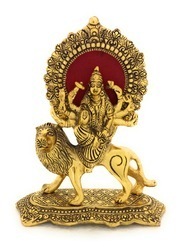 We are manufacturing gold plated Durga statue and more religious statue in fine hand carving work in oxidized silver and oxidized Gold finishing. 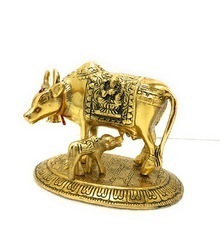 We are manufacturing Cow and Calf and more Religious Statues in fine hand carving work with fine Oxidized Silver and Gold Finishing.